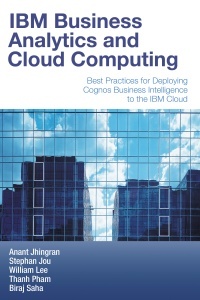 So, my MC Press book on cloud computing is now available on Amazon! I haven’t talked about the book much on the blog, since it was something I did for work, but it was a lot of fun to write something that ended up being published. What was interesting to me were the major emotional milestones that I hit in the process. No question about it, getting the first complete draft done with me and my fellow co-authors was a huge rush. Seeing all that text come together and reach the triple digit page numbers somehow made it go from any other writing assignment to something that clearly deserved the word “book”. This was huge. There was something about viewing a giant jpeg of the cover design, with your name on the front, and an ISBN and bar code on the back, that made it suddenly seem like a real book now. Even seeing the full PDF or the actual physical book itself somehow didn’t affect me as much as seeing the candidate cover! And, last but not least, It’s amazing how real the whole thing suddenly becomes once it is listed on Amazon. I guess we truly do live in the age of digital. Congrates. Proud for being able to work with you Stephan. Thanks for the kind words Shantanu!! It was great having you in Canada too! !